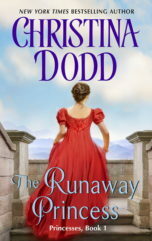 THE RUNAWAY PRINCESS was one of Dodd’s favorite stories to write about a librarian who, when confronted with adventure, responds by remembering what she read and doing it to the best of her ability. She’s a hoot! 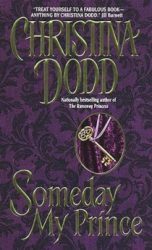 SOMEDAY MY PRINCE features the villain from THE RUNAWAY PRINCESS, a bad boy hero who doesn’t hesitate to go after what he wants. And what he wants, of course, is the heroine!